Originally meals were served in the area that is now The Kitchen. 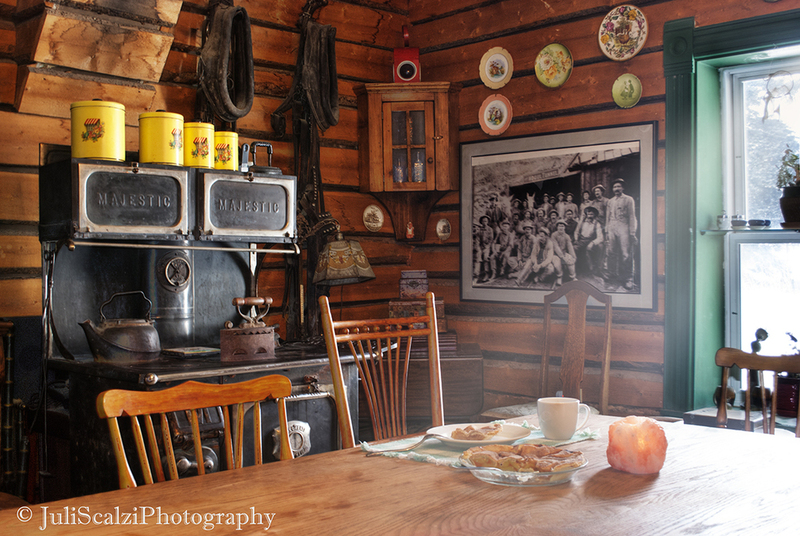 In the 1890s meals were prepared in the wood frame structure at the back which now houses the Hot Tub and furnace. 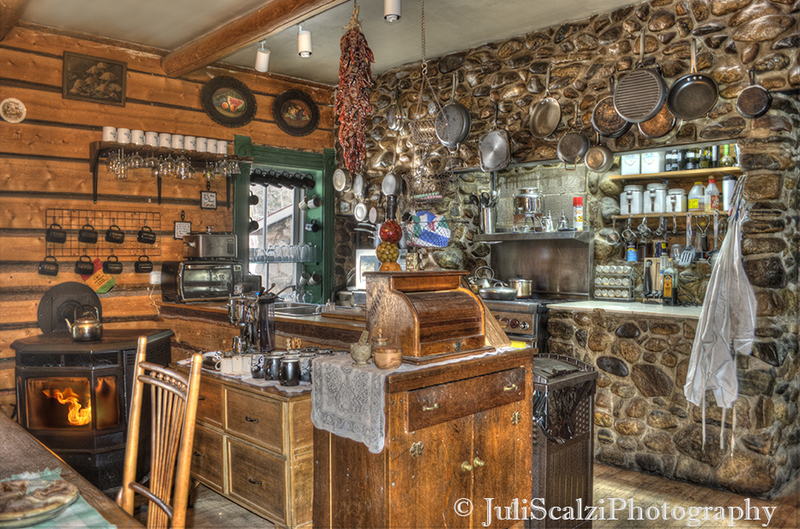 You can still eat where Guests did in the 1890s but now that area also serves as The Kitchen. The large communal table makes you feel part of the Hotel cast rather than just a member of the audience. 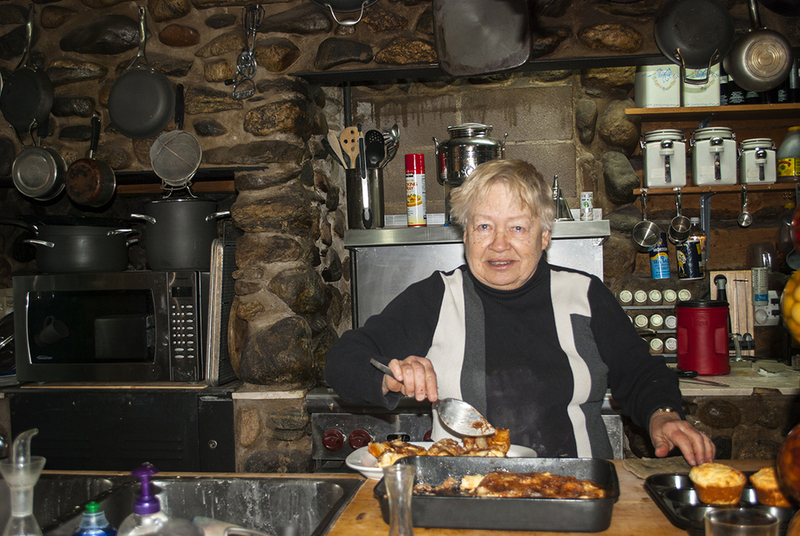 Some busy days we may also serve breakfast in the Social Room but usually our Guests like The Kitchen best.